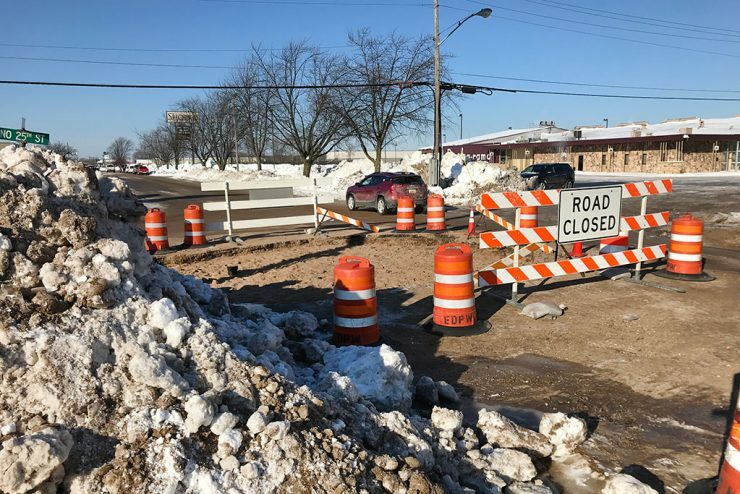 The Escanaba City Council Monday approved a State of Emergency for the water main break Thursday that closed a portion of the city and drained the city’s main water tower. The action reaffirms Mayor Marc Tall’s declaration on Friday. 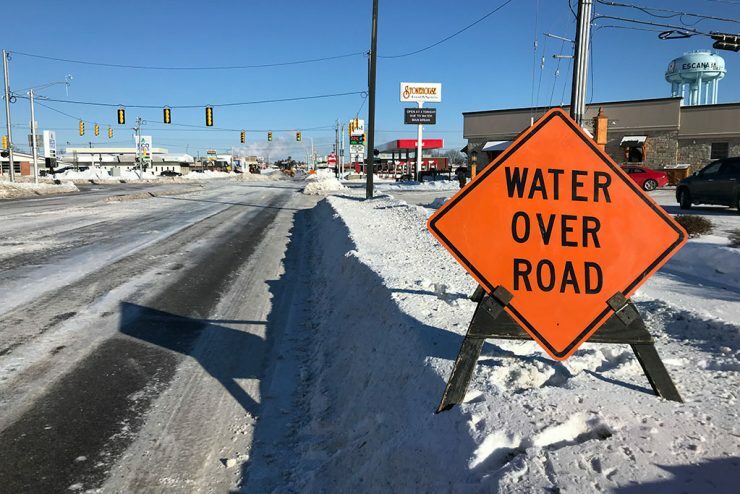 ESCANABA — Water main breaks in Escanaba have become more frequent recently as the city deals with a water system plagued by aging infrastructure and damage caused by extremely cold winters. But none of the breaks reached the severity of what happened Thursday. 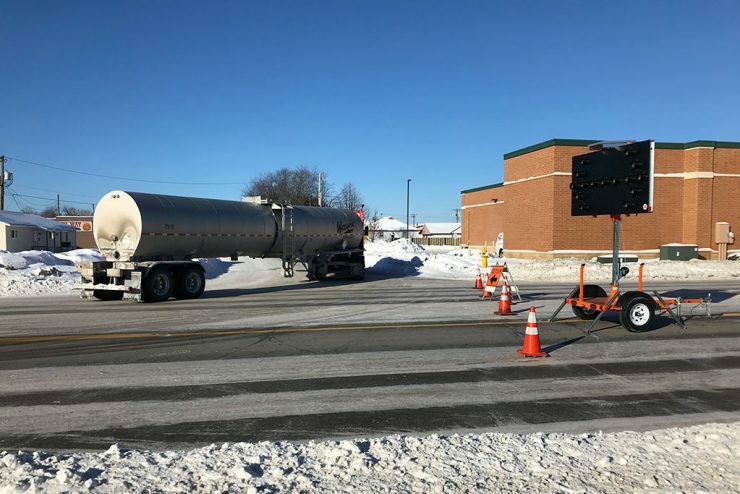 ESCANABA — The water main break in Escanaba that spewed a million gallons of water on city streets yesterday, including North Lincoln Road, was repaired hours after it was discovered despite sub-zero temperatures and dangerous wind chills that slowed the process. 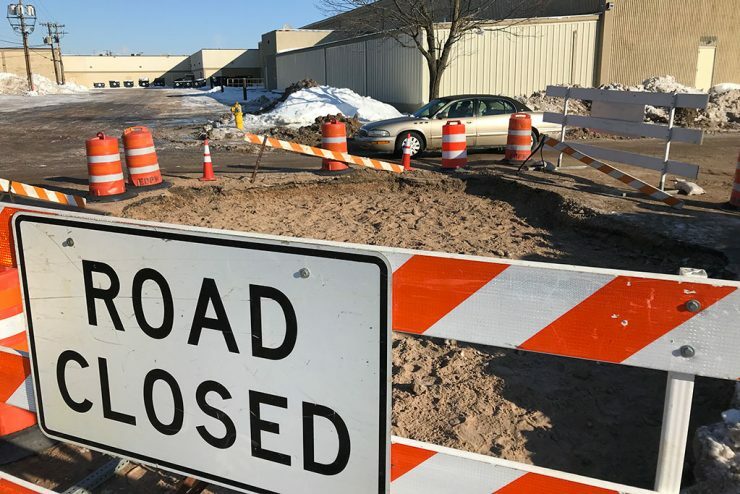 It took several hours this morning to find a water main break near the Bowl-A-Rama and Delta Plaza Mall in Escanaba. Escanaba Water Wastewater Superintendent Jeff Lampi says it caused flooding in a wide area of Escanaba including North Lincoln Road. 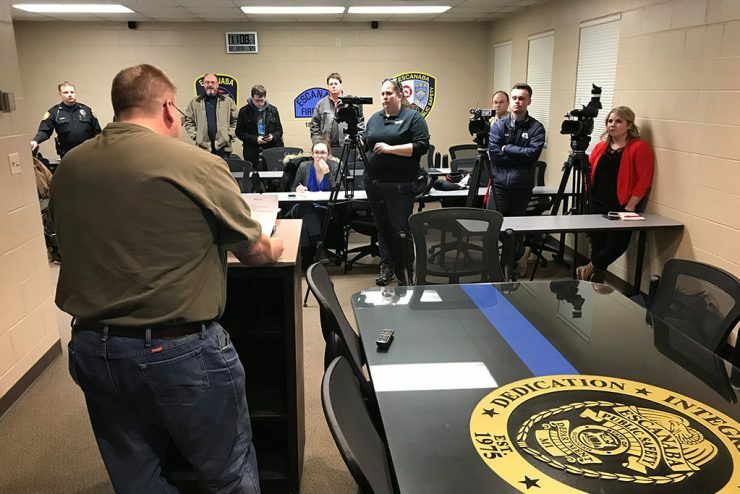 Schools in the Delta Schoolcraft Intermediate School District took the unusual step of deciding to close schools Wednesday and Thursday on Tuesday due to a forecast of unusually frigid temperatures. 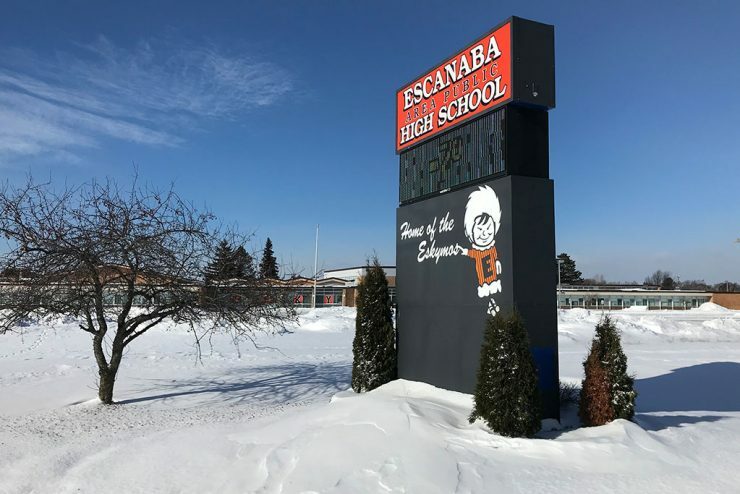 ESCANABA — Holy Name Catholic School announced a $10.7 million capital campaign to re-establish a high school education program. The high school closed in 1971. 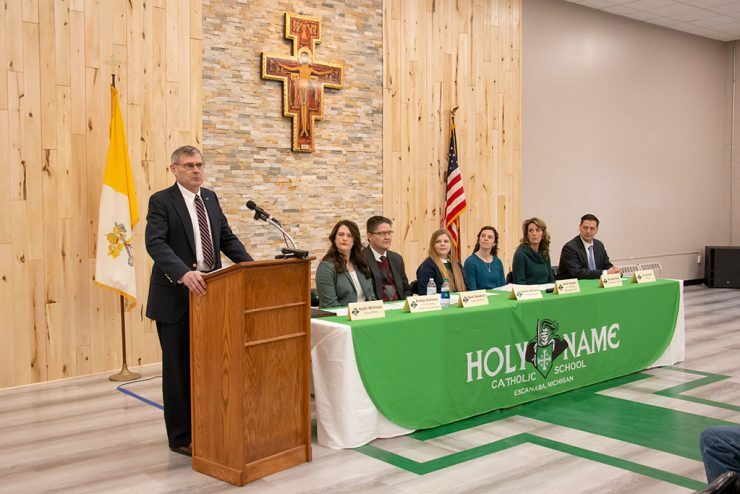 Amber Hartman with the Holy Name High School Planning Committee said a feasibility study by a Marquette firm showed a high school program would be viable at Holy Name. ESCANABA — Many communities in the U.P. 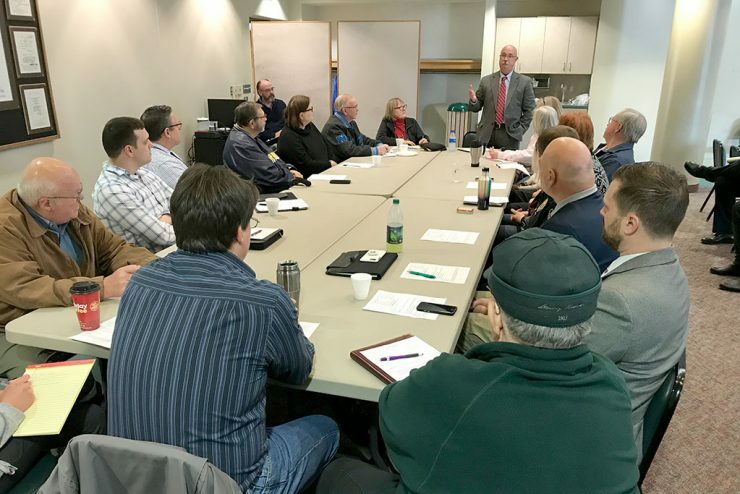 are deciding how they are going to respond to the legalization of marijuana following voter approval of Proposal One in November. 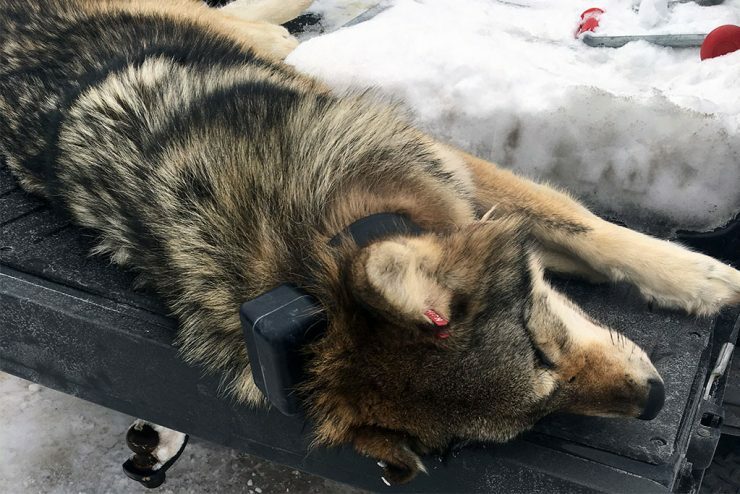 MARQUETTE — Michigan conservation officers obtained confessions Tuesday from two Upper Peninsula men suspected in separate, unrelated wolf poaching incidents in Ontonagon and Menominee counties. 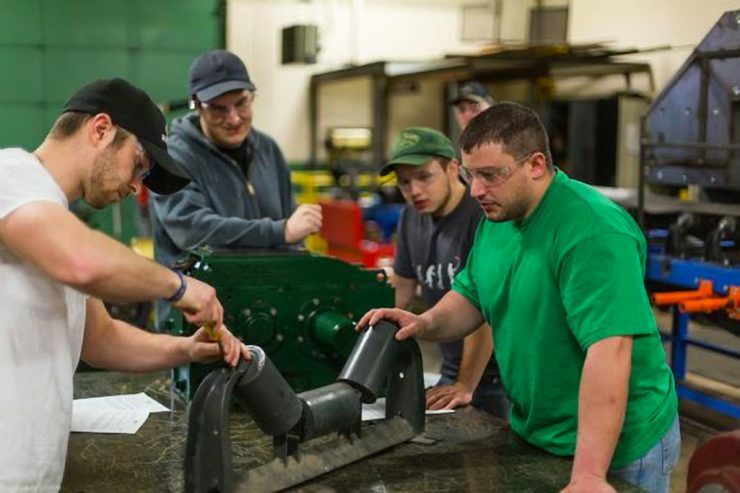 MARQUETTE — Northern Michigan University has initiated the search for an architectural firm to guide the planned transformational renovation of the Jacobetti Complex into a Career Tech and Engineering Technology Facility.